There's something very familiar about the Brad Pitt GQ photoshoot. 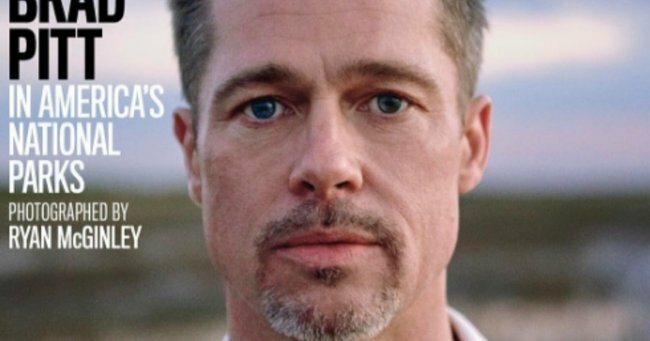 Fans think Brad Pitt has stolen his GQ photoshoot look from a famous boy band. Brad Pitt has done his first interview since splitting from Angelina Jolie and many are saying the GQ feature is one of the most candid and open celebrity interviews they’ve seen. But take a closer look at the accompanying photoshoot and you might notice something very familiar. Turns out Harry Styles and Brad Pitt have more things in common than you might expect. “The same photographer that did Harry’s Another Man [shoot] did Brad Pitt’s GQ piece and he only has access to one sweater vest apparently,” tweeted one eagle-eyed reader, alongside a side by side shot of Styles and Pitt wearing the same top. In case you were wondering/wanted to join the sweater party, it’s Prada. The photographer who did both headline-making shoots is Ryan McGinley. The 39 year old was declared “The most important photographer in America” by GQ in 2014 and has also photographed the likes of Beyonce, Marion Cotillard and was one of the youngest artists to have a solo show at the Whitney Museum of American Art. But others have noticed some other similarities in his work with Styles and Pitt. Obviously social media erupted into calls to decide who wore the teary eyes and green designer sweater better. We’re staying on the fence – and maybe taking some more time to examine the pictures more closely. For work purposes, obviously. Listen: 2015 was the year everyone broke up, including Brangelina.